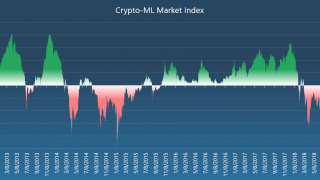 Crypto-ML has released a Market Index, which provides insight into the big-picture trend, allowing you to make decisions based on your personal risk tolerance. 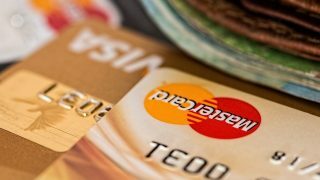 In Cryptocurrency for 2018, we have largely faced a significant bear market. By taking long trades during a bear market, traders are effectively swimming against the current. While there can be winning trades, the challenges and risks are higher when going against the larger trend–regardless of the trading style or indicator. This post will dive into the Market Index and how you can use it in your trading. To help Crypto-ML customers better gauge their risk, reward, and options, we have introduced the Market Index (Member Dashboard). This index contains three key components. A bull market is a sustained period during which prices rise. A bear market is a sustained period during which prices fall. While there is no formal calculation for a bull or bear market, most analysts look at moving averages and reversals exceeding 20% or more (learn more on The Motley Fool). The Market Index is primarily weighing moving averages but is ever-evolving thanks to machine learning. As a bit of trivia, this naming convention is derived from the attacking behavior of these animals. Bulls strike up with their horns; bears strike down with their claws. 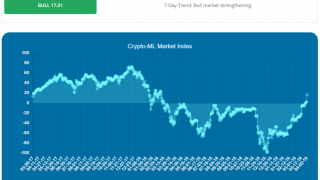 Apart from indicating “BULL” or “BEAR,” Crypto-ML provides an index score which typically ranges from -100 to +100 (although can go further in extreme situations). A positive score identifies a bull market. A negative score identifies a bear market. The more extreme the score, the more entrenched in the current mode price activity is. But as the indicator nears and hovers around 0, the more likely the market is to turn around. The image above shows a score of -12, which is BEAR but not far from zero potentially indicating a reversal is on the way. In addition to providing a BULL/BEAR indicator and a score, you will also see a note about the 7-day trend. This lets you know how the score is changing over time. If a bull market is strengthening, it is realizing a higher bull score and will likely stay bull longer. If a bull market is weakening, the score is dropping and we are moving closer to a bear market. If a bear market is strengthening, it is realizing a higher (more negative) bear score and will likely stay bear longer. If a bear market is weakening, the score is going toward positive and we are moving closer to a bear market. Generally, it is best to trade with the direction of the overall market. This means following long signals when the market is generally bullish. Likewise, if the dominant market trend is bearish, following short signals would be ideal. 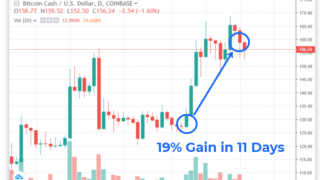 Depending on the signal, you may be looking for breakouts, bounces within a channel, reactions to key support lines, or any number of other variations. Regardless, most signals will behave best if you await a signal for a trade in the direction of the bigger market picture. What traders look to capitalize on are the swings within a market. Taking advantage of a retracement in a bull market can deliver massive results. This is much more likely to be a favorable trade than, for example, buying dips in a bear market. No trading system is perfect. But if you trade in the general direction of the market, it is more likely that false flags and random behavior will be to your benefit. Quick and sharp moves are hard to react to, even for stop losses. But if you are trading with the market, these moves are more likely to be in your favor. We have in fact seen these ultra-fast, large moves down in the 2018 crypto bear market. Large, sustained moves are more likely to be in the direction of your trading bias improving the likelihood of capturing major moves. Fundamentally, your trading bias should match the overall market direction. Long trades have more risk in bear markets. Bull or bear market indicators are based on the big picture meaning they are historical in nature. It is, therefore, a lagging indicator and takes confirmation before the index can truly change. 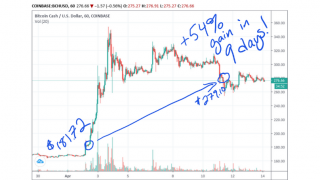 Utilizing the “20%” method, for example, you would need to see a significant drop (that already happened) in the market before calling a change. This is where having the score is valuable, albeit also lagging. As the score begins approaching zero, you can consider changing your trade behavior. Some very significant long trades have happened during bear markets, causing the entire trend to change to a bull market in a single move. Ultimately, we all need to consider our own personal risk tolerance, adjusting our trading bias as the larger market shifts. Crypto-ML will release signals for shorting Bitcoin soon (read more about shorting on Investopedia). Simply using the “SELL” notification from the Standard or Auto-ML signals is not sufficient. These models are optimized for long profit and do not consider shorting. Unique strategies and models need to be in place for shorting. As well, we provide guidance on different ways you can effectively short Bitcoin, which is simpler than most people think. During strong bear markets, this will give Crypto-ML users a better weapon to utilize. Look for more to come. If you’d like to learn more about what the Market Index considers and how it utilizes machine learning, you can read our post How the Market Index Works. 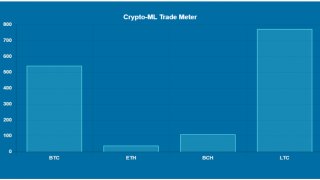 The Market Index provides Crypto-ML users a tool to gauge the overall market dynamic. The Crypto-ML signals are continuously evolving and becoming sharper but any trading involves risk. With this index, you’ll now be better able to adjust your trading style based on your risk preference, balancing your personal risk and reward. If you are a Crypto-ML member, you can see the Market Index on the Member Dashboard. If you are not yet a member, you can join the waitlist. Thanks for reading!